I visited a friend’s blog the other day and followed some links back to an older post I’d missed, where I left a comment. The blogger contacted me, expressing concern that I got hacked because a) I seldom leave comments — yeah, I know, it’s terrible of me; I’m lucky I have time to respond to the comments so kindly left on my own blog and b) it was an older post. That episode reminded me of the lastingness of blog posts. (Is lastingness a word? Spellchecker seems to think so. I don’t see that squiggly red line that so often berates me.) Some of my most visited blog posts are older ones — a few from my “writing hints” days, a couple from my “anything goes” days, and several from my early grief days. 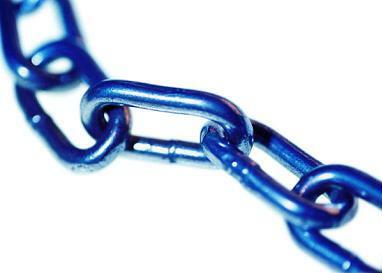 Because blog posts are eternal, as eternal as the internet is anyway, the links we include are important. In the case of my blogger friend, the links I followed were generated by Word Press, so they were all live links. In the case of links we add to our blogs — well, that’s a different story, especially when it comes to my blog. The links to older blog posts that I add to current blog posts are good — I never change the domain or the URL, so those links all work. But links I posted that link to other websites . . . yikes. I used to link all my books to a certain independent bookseller’s website. Mostly I did it out of loyalty since all those links helped the ranking of the website, but doing so also served as a salvo in my own private war against Amazon. It seemed to me that Amazon overruns its banks and floods everything in its path, and I wanted to do what I could to stem the rushing waters. But I miscalculated, and now the Amazon river gods are laughing at me. Most of the book links in my blogs now go somewhere besides the requisite book page on that independent bookseller’s site, and I have yet to fix the more than five thousand links I have posted over the years. The current links all work (I capitulated and now they go to my book pages on Amazon) but the links in older posts, well, let’s just say they’re defunct and leave it at that. The webmasters of that other site didn’t seem to see the importance of redirecting the links when the company changed domains, and I could not convince them otherwise. The web is all about links — if there were no links, we’d never be able to move from one page to another. It’s the links that make the internet an interconnecting network. It’s the links that make the web a web. And because the network/web is eternal, those links are eternal. And now I have an eternity of defunct links. I’m gradually changing the links, but if you ever click on a link that doesn’t take you to the proper page, please let me know so I can fix it. Sometimes I click on links and I’m relieved they don’t go anywhere. Not your links, of course. My “teaching Amazon a lesson” plan leads me to direct a lot of links to B&N. I’m sure Amazon is concerned. Occasionally, when I see older posts of mine getting a lot of traffic, I go back and update any book links that are there. I’ve had several websites over the years, so old links may go nowhere. Some people will probably be relieved. I feel honored. This is the second time an interaction between the two of us has led to a blog post on your part. Glad you’re honored and not insulted. I need all the blog topics I can get, so thank you! You’re welcome. Always happy to help.